I wrote about the first season of this series several years ago, but we've recently watched the fifth and final season so I thought it might be time to take a look at the whole thing. I've always enjoyed Arthurian fiction, movies, and TV shows, and this is a pretty good one. These early episodes are perfectly serviceable lightweight sword-and-sorcery adventures and I found them enjoyable enough to keep watching. But as the series goes on it begins to take on a darker tone and a more epic scale, and I realized that the writers were going for the classic version of the King Arthur legend after all, just in a roundabout way. The whole thing builds to a dramatic climax and generates a considerable amount of tension and suspense in the final season. Colin Morgan as Merlin and Bradley James as Arthur play off each other very well, creating a real sense of camaraderie. Veteran British actor Richard Morgan does a good job as Gaius, Merlin's friend and mentor. Anthony Head (Giles from BUFFY THE VAMPIRE SLAYER) plays Uther in the early seasons and is by turn admirable and despicable. The most impressive performance, however, comes from Katie McGrath, who over the course of the series does a remarkable job of transforming from a cute, innocent ingénue to a totally evil sorceress. I can't say that I was totally pleased with the ending—too many plot holes—but I really did like the very last scene. 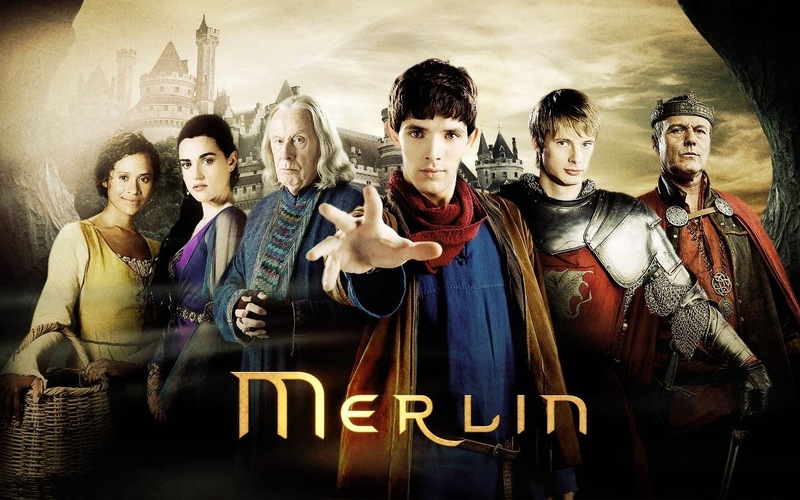 MERLIN is a good series, well worth watching, and it's whetted my appetite for more Arthurian tales. I probably won't get around to watching or reading any of them before the urge goes away, but you never know. Somehow this series completely got by me. James, I also enjoyed this series very much--especially John Hurt as the voice of the dragon.